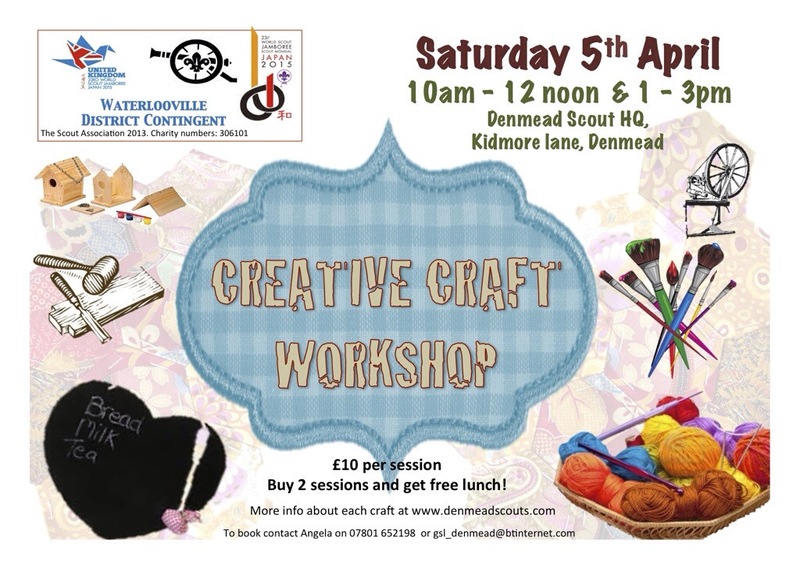 Don’t forget to sign up for a session at our craft day. All money raised will help our scouts get to Japan fur the World Scout Jamboree. Group Scout Leader and avid crafter -knitting, sewing and up cycling.